Kuldeep Singh P.E. 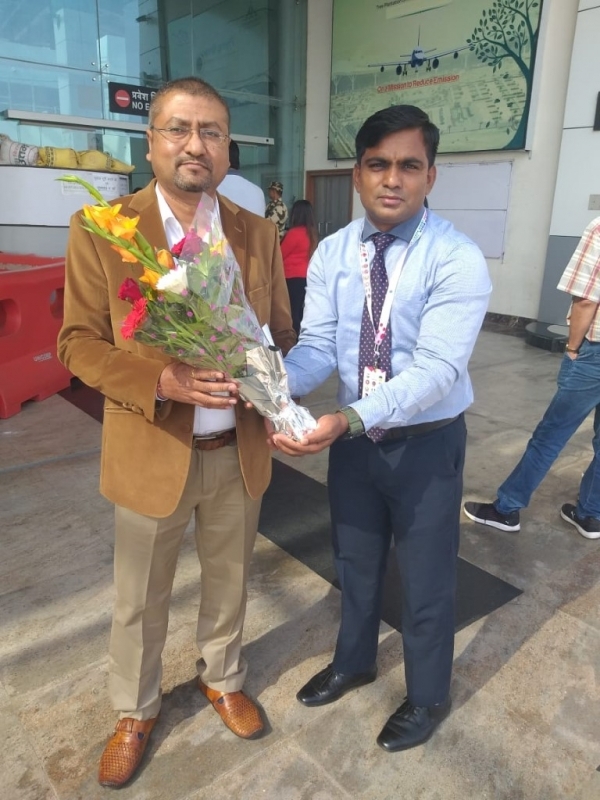 Teacher of Indian School Sohar appointed as Chief Judge and Technical Official in the 2019 Open International Canoe Sprint Competition held at Bhopal, India from 23 to 25 March, 2019. The Indian Kayaking and Canoe Association in partnership with Dunst Nolan organized the 2019 Open International Canoe Sprint Competition at Upper Lake, Bhopal, Madhya Pradesh, India from 23 to 25 March, 2019. This event was organized to uplift the standard of Asian continent peddlers. A total of fourteen countries including the host India participated in the competition. The other countries participated are Ukraine, Portugal, Philippines, Chinese Taipei, Sweden, Tunisia, Kenya, Tajikistan, Kazakhstan, Hong Kong, Nigeria, Myanmar and Malaysia. It was a proud moment for Mr. Kuldeep Singh, Physical Education Teacher of our school to be a part of this great event as the Chief Judge and Technical Official of this most prominent Canoe Sprint International Competition. The event offered high quality environment for the world top ranked sprint canoeing athletes to Bhopal. The competition witnessed athletics performance of the highest quality and made the Bhopal regatta venue a worthy arena for a fair competition between the best athletes in the World. He also attended two days “Coaches Refreshing Workshop & Panel Discussion on Canoeing Scenario in India and Future Development” organized by Indian Kayaking and Canoeing Association, New Delhi on 19-20 March 2019. Ms. Sanchita Verma, Principal has always been a strong pillar of support and encouragement. Her guidance creates an atmosphere of confidence to venture and face great heights. She congratulated Mr. Kuldeep Singh and gave away the Certificate in the special gathering.